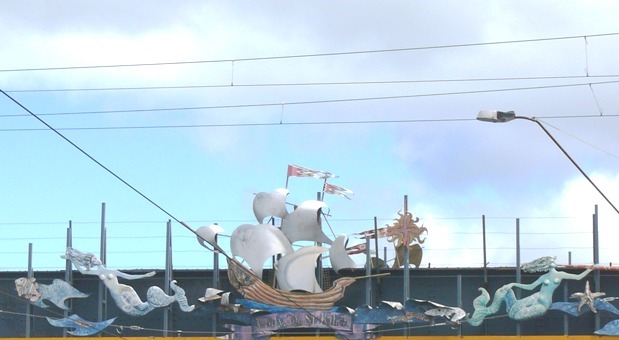 For many years I have been intrigued by a mural of The Lady of St. Kilda who sails over busy Carlisle street in Balaclava Melbourne. Her ocean is the sky, the sound of her waves the traffic hum. Why is she there? I wondered. What is her story? Recently I found a photo I had taken on one of my trips south. I had to know more and started to do some research discovering that this public art work was created by Alex and Ruvim Nemirovsky, in 1993. The historic schooner this mural depicts was moored during much of 1841 at St.Kilda, a vibrant,beach-side suburb of Melbourne. The suburb, with a high Scottish population in those times, was named after the remote Hebridean islands of St.Kilda. For me this rather whimsical art work brings to mind the voyagers and stories that make such a rich tapestry in myth, folklore and history, harking back to times when mermaids and sirens were believed to lure sailors to watery graves. In those times explorers thought the world was flat believing that bloodthirsty monsters lurked beneath the waters, yet they set sail in tiny vessels, to map the globe. These were the times when the oceans were a vast unknown that promised adventure and riches as well as danger and death. 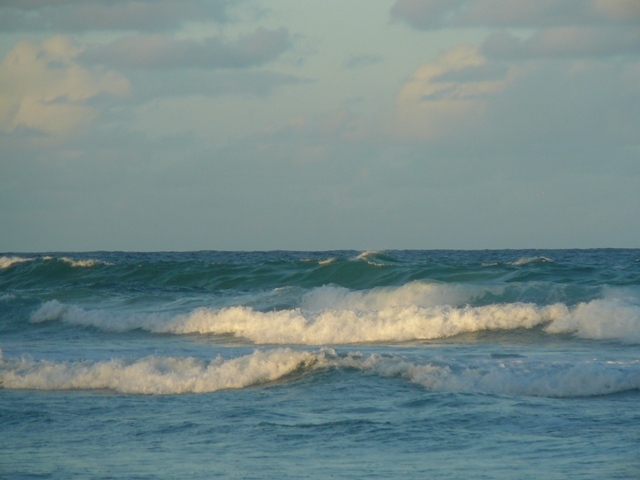 Many stories with sea themes tell of endurance, courage and despair. Often in sea tales there is a haunting sadness and an ever-present fear of loss, like the crashing of waves, as hopes wash in and out of our lives. It seems that sea has inspired artists, musicians, poets and writers forever as an infinite source of wonder and yearning. The shipThe Lady of St.Kilda, is named after Lady Grange, who was by all accounts a rather unpleasant lady. 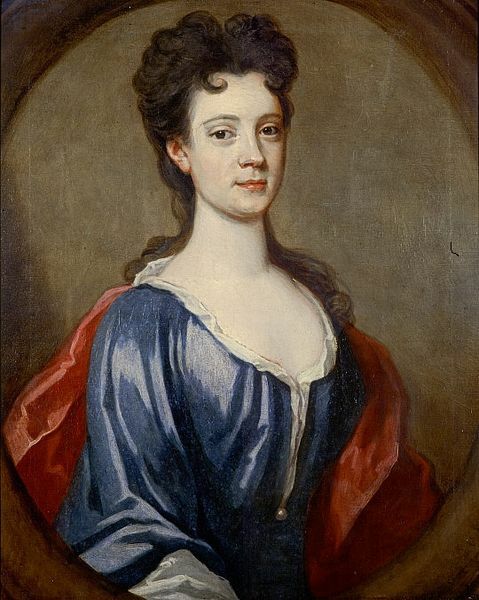 It seems that she was abducted by her estranged husband and some Scottish noblemen when she threatened to reveal their Jacobite conspiracy plans. Although she had nine children living no one in her family seemed to want her back. As a consequence Rachel Chiesley, the Lady Grange, was hidden and imprisoned for many years on remote islands in the Hebrides, including St.Kilda,where she was exposed to very harsh conditions as well as isolation. Abandoned she died in 1745, elderly, unwanted ,outcast and unloved. The despair, loneliness, fear and anger that must have been her constant companions are not hard to imagine. The sea to her would have been a cruel prison. Denied her former life, cut off from family and acquaintances, her situation was not unlike a Selkie who has lost her skin so becoming trapped on land or who, on finding her skin has returned to the sea thus losing her human children. 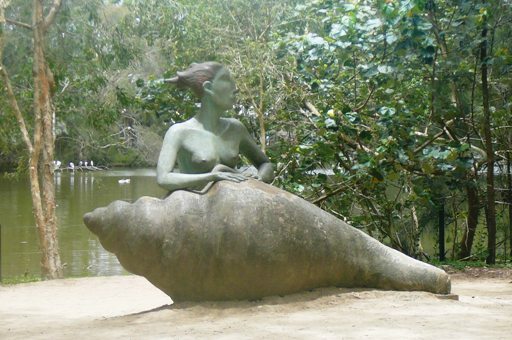 At the Currumbin Wildlife Sanctuary in Queensland, there is a sculpture of a Selkie. Scarred and weathered now, she is by a lake. To see her at this location away from the ocean, emerging from, or perhaps finding her seal skin, was strange. Lonely, listening, watching and waiting, always waiting, dislocated like the Lady of St.Kilda. How interesting!I especially love the Selkie statue! She is lovely and has been on my mind to share for some time- a must share . Thankyou for your support. 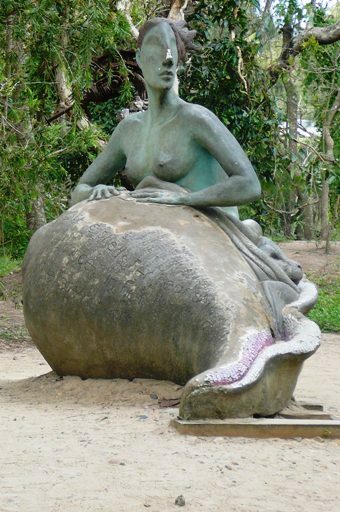 I, too, am especially drawn to the Selkie statue. It looks to me more like a shell than a seal, and I wonder if that was intentional, sort of an echo of Botticelli’s Venus, though unlike Venus I agree that she looks rather dislocated and sad. Thanks for sharing! Thanks for your reply. The sculpture is intriguing and clever. You can just see the seal head in the first picture and it does look more like emerging from a skin but the other angle is more like a shell and that did bring to mind the Venus for me too.